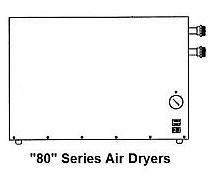 DeVilbiss, DEVAIR, and Hankison made several refrigerated air dryers: The 80 Series, The PD Series, and the DRD Series and the newest ASD and HTD (Prodry) Series. DeVilbiss, DEVAIR, and Hankison made models 8005, 8010, 8015, 8025, 8035, 8045, 8055, 8070, 80100, 80125. Download manual for 8005 to 8015 click here. Download manual for 8025 to 80125 click here. Please review the manual to maintain and trouble shoot your air dryer, but if you need any help call us at 705-722-5747 Ext.1. Please have the Devilbiss air dryer model and serial number when you call. Download manual for PD-20 to PD-125 click here. Please review the manual to maintain and trouble shoot your Devilbiss air dryer, but if you need any help call us at 705-722-5747 Ext.1. Please have the model and serial number when you call. Download manual for DRD-25 to DRD-150 click here. 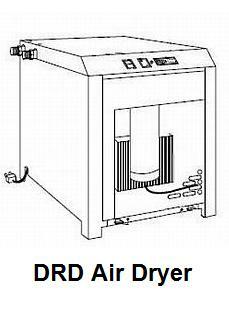 Download manual for DRD-200 to DRD-750 Sept. 2001 click here. Download manual for DRD-200 to DRD-750 Feb. 2002 click here. Please review the manual to maintain and trouble shoot your air dryer, but if you need any help call us at 705-722-5747 Ext.1. Please have the model and serial number when you call. 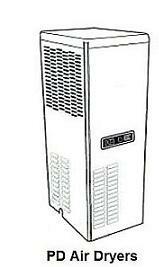 DV Systems (formerly DEVAIR) still make regular temperature refrigerated air dryer models ASD10, ASD15, ASD30, ASD40, ASD60, ASD100, ASD150, ASD200, ASD320, ASD400, ASD500,and the ASD600. DV Systems (formerly DEVAIR) still make High temperature refrigerated air dryer models HTD18, HTD26, HTD37, and the HTD52. Please have the model and serial number.